(FORT WAYNE) - Police have arrested a man for apparently stealing doors from the Fort Wayne Children's Zoo that were for a renovation project in the Australian Adventure. 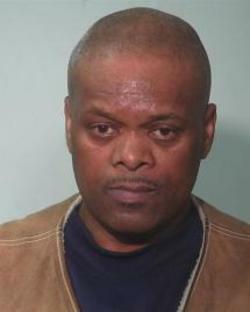 53-year-old Arthur Johnson Jr. admitted to Fort Wayne police during an interview that he stole and sold the doors on Feb. 12, 2016, according to an affidavit for probable cause. Johnson Jr. told police it was "a bonehead move." Court documents filed at Allen Superior Court show investigators responded to the zoo after a construction supervisor reported four custom-made steel doors were taken from the jobsite. The supervisor said the doors were intended to be installed into the new aviary in the Australian Adventure. They were stored just outside the fence of the zoo. The supervisor then alerted a scrap metal recycling company, MetalX, according to court documents. The company said the doors were there and were damaged in a steel scrap pile. The staff at MetalX were able to identify Johnson Jr. as the man who presented the doors as his own, the affidavit included. The four doors were valued at $6,000. Johnson got $11.50 for them from the metal company, according to the probable cause. Johnson Jr. was charged with one count of theft, a level 6 felony.